UNESCO Almaty project "Sustainability Begins with Teachers", gave impetus to a series of events and trainings were conducted on using modern teaching methods to achieve sustainability in higher education. On 23-24 November 2017, Ms Saule Zeynolla, National Project Coordinator presented "Active methods of teaching" in the section "Project and problem-oriented learning" at the International Scientific and Practical Conference at the Kazakh National University named after al-Farabi. The conference is an open and convenient platform for the exchange of views and experiences in the field of implementation of problem-oriented teaching in higher education. It is necessary to include project based training to universities educational process to influence the achieving of the Sustainable Development Goals. 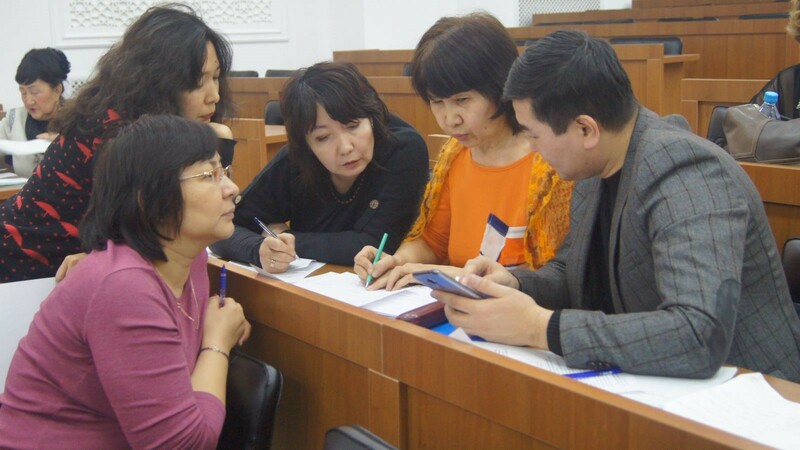 UNESCO Almaty supports the project based training in educational processes of universities with a focus on sustainable development. 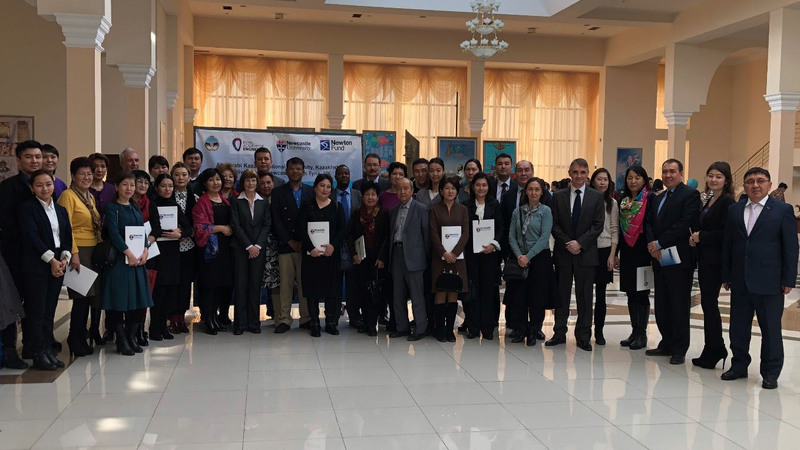 An active participation of representatives of the largest universities of the Republic of Kazakhstan contributed to the development of practical recommendations and proposals. They will be considered when developing training programmes for university teachers on the implementation of the principles of sustainable development in the educational process. 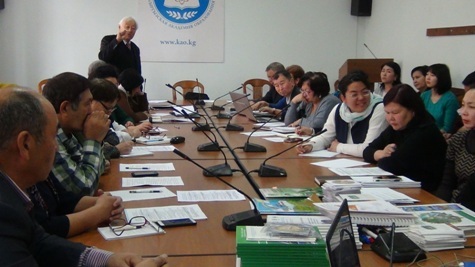 Trainings organized at the Caspian University and, the German-Kazakh University from November 2017 to January 2018. More than 70 university professors and teachers attended the workshops. The participants discussed the competence-based in teaching students and shared their experience of applying new pedagogical technologies. The implementation of individual and group projects was an important component of practice-oriented teaching. In addition, the participants discussed difficulties in preparing assignments for classes and the various formats for applying exercise in training and their effectiveness. Particular attention was paid to the peculiarities of the perception of information of students of a new generation as well as practical examples of using effective technologies for the organization of complicated lectures. The most useful topic was on receiving feedback from the students, the terms of individual adjustment of the course and methods of self-evaluation of students. The orientation of learning for a specific result and the focus on the practical application of the curriculum material is the result of a well-coordinated efforts of teachers.